UFC Hall of Famer and former light heavyweight champion Chuck Liddell is 47-years old but has been looking to make a comeback to the sport he once dominated. Not having competed in seven years, and currently without an executive position with the UFC, Liddell has expressed interest in the Bellator MMA promotion. Bellator frontman Scott Coker as also seemed interested in bringing Liddell aboard. Recently Liddell made comments insinuating a fight with Chael Sonnen could possibly be one that brings him back. 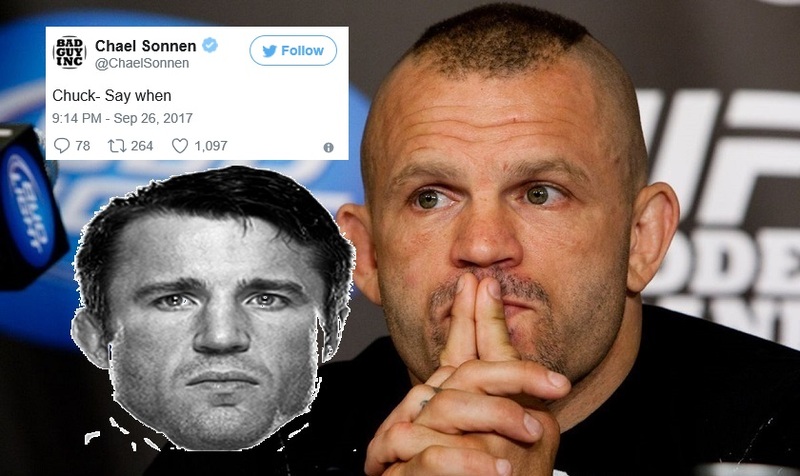 Sonnen has since responded to Liddell’s claim. Liddell (21-8) last competed at UFC 115 in June 210 where he was knocked out by former middleweight champion Rich Franklin. Sonnen (29-15-1) is coming off a unanimous decision win over Wanderlei Silva at Bellator NYC in June.